Since Rome still 2 got dlc several years after was launched, is it possible for Attila as well? Maybe in 2019 or further future, but atm they’re already working on a China based game, and thrones of Britannia which has some Attila aspects is being released soon. 1) Hopes for a Rashidun/Roman/Sassanids campaign aren't going to go away. If we are going to have a game that is based on Late Antiquity/Dark Ages, there needs to be a campaign that tells the story of the end of antiquity in Egypt/Middle East as has already been done in Western Europe. 3) Minor work needs to be done to the Roxolanians/Iazyges in order to replace their Hunnic roster/characters with their Alanic counterparts. C'mon CA, the work that has been done on Rome 2 in recent months has been amazing. I want to see Attila reach its full potential. i doubt attila will receive any updates. Rome 2 is more popular time period and has more players overall compared to attila. as much as i enjoy attila, i dont think it will get any updates. if we are lucky, attila will get a little love when ToB comes out, but that is very very doubtful. I would love to see some DLC for Attila in the future, this game has still a lot of potential to offer. Or at least some decent patch, that will fix most burning issues and common bugs (yes, there are a lot of things to repair and I am still updating Ultimate Bug Thread BTW). And I hope we will get one (Darren gave us a hint in his content on Republic Of Play, not straigthforward though, because of NDA). Content should be focused on themes mentioned by Mr. Darios above. can you link when he said/hinted that? Watch this content with caution, guys. In my opinion, question if we will get something new for Attila is still open, according to this video. And yes, I know it was published before ED Campaign Pack, but it doesn't necessarily mean, that opportunity is lost. After all, probably nobody has expected to get anything new for Rome II after ED, and BANG!!! announcement of Desert factions DLC has arrived. So lets keep our hopes high, and in a meantime, look for some remaining bugs, report them, publish some neat ideas etc. I believe, that with the Empire Divided and the Desert Kingdoms CA is testing the entire idea of releasing new content for the older Total War titles. Rome II is the safest place for them to check if people still want new content for the older titles. I believe, that if these DLCs are successful, we will see new content for Attila. Personally, I would like to see the brand new campaign pack for Attila. As for the new factions, I agree that Armenia deserves to be in game and it would be nice to see more differences between Huns and other non playable nomadic factions. Argwylon, Carcassonne, Clan Angrund, Nagarythe, The Blessed Dread, The Empire, Von Carstein. While I would love a new DLC for Attila, I highly doubt it. If you look on the forums, you'll see that Attila is for some reason not as popular as Rome II (which I don't really get as Attila was better in nearly all aspects imo). Some even call it "The worst TW ever". So why would CA waste time and ressources for a game that isn't as popular when they can make DLCs for games that are popular (and will generate way more money). CA is a normal company after all, even they have to work economical in order to survive. So I couldn't even blame them for not making a new Attila DLC. If Creative Assembly Sofia after the Desert Kingdoms and the Empire Divided DLCs for Rome 2 goes to Attila they got room for only 2 big Campaign DLC and 1 Culture Pack for the Grand Campaign. And Lets Face it and be Honest - CA is only doing the last 2 DLCs for Rome 2 ,just because the production Costs for maiking DLCs outside Britain is a lot cheaper, compared to for example outsourcing in Eastern Europe(Bulgaria). 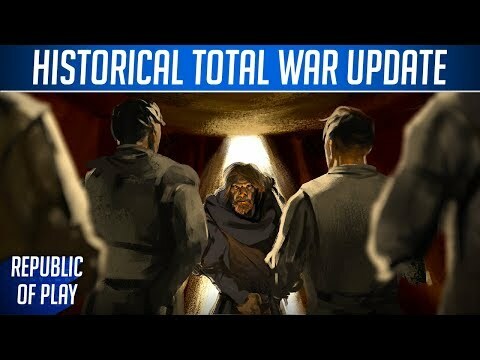 1)A update on all thats wrong with the Sarmatian Nomadic factions Group in Attila - Nomadic Faction Campaign Gameplay where nomads that can settle down and Form new realms as gameplay,just like the Alans but more advanced,and even if its Indepth campaign as good as the Slavs DLC was will be perfect to finnaly fill all the empty spots on the Grand Campaign map east of the Don River and do justice to the nomads in Attila.A opportunity to create an alternative Nomadic gameplay compared to the Huns and White Huns,who cant settle is a win win situation IMO. 2)A Rise of Christianity Campaign DLC on the Grand Campaign to be an alternative to the Grand Campaign(with maybe some minor changes to region and city placement along the Campaign map,just like in the Augustus Imperator Campaign for Rome 2) where the player can play as 1 of the 4 Roman factions, starting with less regions and enemies ,compared to WRE and ERE and being at war with 20+ nations at turn 10 and public order problems. The only problem for this DLC will be why create it when the faction's unit rosters will be mixture between the Empire Divided DLC and the Grand Campaign for Attila with Constantine playing the same role as factional leader, just like the factional leaders for the Heroic Factions in Empire Divided DLC with more focus on the religion aspect of the Game. This is my +FrozenmenBG+'s Collector's Rome 2 Overhaul Mod Pack Edition In top 8 Highest voted Mod compilations for Rome 2 in the Steam Workshop. Check out The Barbarian Invasions - Overhaul Mod for the Grand Campaign with 8 New Starting dates(395ad-681ad) mod coming soon to TW: Attila. It adds several new factions to the game with their unique rosters . Hoping CA_Sofia moves to Attila and make Campaign and Culture pack dlc. My view on the subject might be quite negative honnestly. I don't feel (it's important to note that in the end it's just a feeling) CA would be willing to come back to Attila. I really can't really claim to know what happened whila Attila was being developped but I feel that the game was actually somewhat rushed in the end and that CA, while developping new content for it, actually did it mostly to test new things in order to solidify their next releases. Rome II is still not the perfect game in my eyes, but it actually had quite the nice amount of patches for the Grand Campaign and honestly the experience is pretty enjoyable nowadays. That's simply not the case with Attila. And it's not like CA never had the opportunity. They brought some neat battle balancing changes for Charlemagne and yet again, the Grand Campaign (and TLR) were left behind. Increasing shield melee defense and the base value of armor (while removing the armor value from the shield) was a pretty smart move tho in my eyes. TLR and AoC works with a much more "flexible" fertility system based on a scale from 0 to 10. Yet the GC is still running the 0 to 5 system which feels bleh. But I would bet on the year 311 AD if we got a dlc for Attila. It's perfect with Roman legionaries looking like late third to early fourth century legionaries with a mix of equipment from both eras and it's not like Attila in that playing as a Roman faction is hard. (meaning that playing as one would be fun as you have some considerable amounts of power in our hands) Besides even in the year 395 AD, Rome's military force was still powerful. But politics and poor decision making by several Roman leaders and advisers started the fall. I just wish they didn't launch Rome 2 in it's bad start format. Due to the bad start of Rome 2, some people chose not to buy Attila since they though it would be a bad game. Also I wish more people knew who Attila was and the era Attila is set in since people also didn't buy the game since they usually prefer the ''classic'' Roman Empire or they simply have no idea who Attila is. A big problem with the game is that it is largely in the same state that it was at release, with CA doing little to fill in "historical gaps" that the community has brought up since release. Attila has a world of potential if CA would simply show it a fraction of the same attention they do Rome 2. 1) Clean up the unplayable Sarmatian factions to differentiate them from the Huns. (This horse has been beaten to death by the community). It would be cool to change their 'cultural group' in game from 'Nomadic' to 'Great Migrators' so that they would have the ability to settle like the Alani. 2) Diversify the mercenary pool. In the regions that are ruled by the Slavs, the regional mercenaries are still the same cookie cutter Germanic units from release. Throughout most of the campaign map, the mercenary poll is either Germanic, Hunnic, or "Desert." Perhaps in some regions there could be random elite/unique mercenary units that would be present, unrecruitable by any major factions...making it more interesting to hire mercenaries in game. Agree with Darios. Attila is a much better game than Rome II. We need meaningful DLC for Attila instead of Rome II. There have been some edits in ATTILA's branches on SteamDB recently. There are "ugc_test" and "satellite" branches in depots tables. While changes in "ugc_test" (2 months old branch) might mean a fix for bugs related to the latest patch, I am not sure what "satellite" (5 days old branch) might be. I do not want to be overly excited right now, but branches with strange names usually in the past have meant new DLCs - for example - "kingpin" was Celts cuture pack, "corgi" was Age of Charlemagne, "illypad" was The Last Roman etc. of course, shogun 2 got a lot of those when Rome 2 came out even though it didn't have a launcher. It's a campaign about the civil wars of Constantine I's successors which were his sons and relative. Roman factions of Constantine II, Constantius II, Dalmatius and Constans. Sassanid Persian Empire and Satraps. Other factions in Europe at this time. As the sons of Constantine the Great, you have a fragile peace among each other. One of you is a supporter of Arian Christianity or at least a semi version of it while the rest (probably at least) are supporters of Nicene Christianity. Your relative Caesar Flavius Dalmatius' lands are ripe for taking. If your territory surrounds him. But if you do take his territories, you risk even more conflict with your other brothers. As Flavius Dalmatius, some of your senior Emperors and relatives want your territory. A purge of the Imperial family has been started by Constantius and you might be next. Eventually they might go to war with you if they don't get your murdered at first. Will you declare yourself Emperor after you consolidated your position as Caesar and try to go to war with your relatives or try and stay as a Caesar? It would be a hard fight for you have the smallest territories but with faith and determination, you might be able to succeed. As a enemy of Rome you can try and to raid it's territories as it is divided but still powerful or you can go to war with your other neighbors. Other family members of Constantine will appear when they become of age. Emperor Julianus and Caesar Constantius Gallus. But what was the east like during this period? I prefer the campaign wherein you can play as Constantine himself rather than his successors. It's an alternative idea since for some reason, I would rather have Constantine's civil wars as some sort of saga. But I would be okay with an AD 311 dlc. The East was dominated by the Persian Sassanid Empire and Roman Empire of course. They were during at this time I believe at war with each other with no one really winning. It seems that the war was barely recorded with some good details at least. Also the Romans had the control of the Kingdom of Armenia and a strong position due to the Persian-Roman War of Galerius and Narseh that ended with a Roman Victory and the final capture of Ctesiphon. They signed a treaty that benefited the Romans greatly by giving them territory and influence. But that might be a bit hard to implant as an actual dlc I suppose. But that might be a bit hard to implant as an actually dlc I suppose. It doesn't suit Attila timeline.